Expert writing, website design, dental writing, and graphic design services from seasoned professionals who deliver inspiring attention that matters. Equipped with the conveniences of home, Tuxill House is a gracious four-bedroom European-style guest house. When the Tuxill House owners had very specific ideas about the logo they wanted, they entrusted Crème della Crème Copywriting & Communication to execute and create a logo with the feel of a European-style Guest House. They also asked Crème della Crème Copywriting & Communication to create stationary, rack cards, and business cards with the new branding. 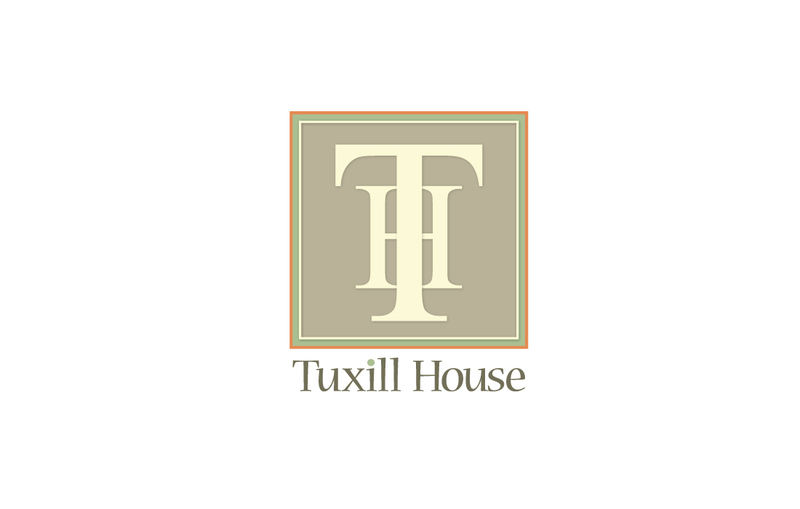 The Tuxill House logo complements the design and architecture of the guest house itself. The colors play to the serene and tranquil visit that guests are known to enjoy. The stationary, rack cards, and business cards include the pristine logo and embrace the revitalizing and soothing design. © 2015-2016 Crème della Crème Copywriting & Communication. All rights reserved.